SPJIMR Mumbai Final Placement Report 2018 - SPJIMR Mumbai completed the final placement for 2018 batch with highest number of offers from Consulting domain, making it 35 percent. The average salary offered is Rs. 22.24 lakh per annum, which is 6.41 percent higher than last year. 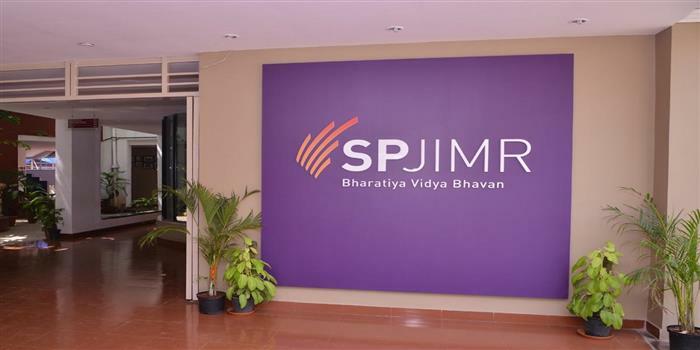 According to the placement officials of SPJIMR Mumbai, over 92 per cent of the PGDM Class of 2018 batch received offers in excess of Rs. 17 lakhs. The median salary for the batch stood at Rs. 21.25 lakhs, an increase from the Rs. 20 lakhs reported last year. This placement season saw participation from 105 companies on campus to hire the 238 participants from the class of 2018. The following table brings to you the highlights of SPJIMR Final Placement 2016-18. While 92 percent of the batch received Rs. 17 lakh per annum or more, 97 percent of the batch received Rs. 16 lakh per annum. Prof. Abbasali Gabula, Deputy Director – External Relations, SPJIMR Mumbai says, "More than 50 percent of the Class of 2018 received pre-placement offers and pre-placement interviews through their autumn internships at top companies, which included leading corporates like Boston Consulting Group, Tata Administrative Services, HUL, P&G, Amazon, Axis Bank, GE, AstraZeneca, among others." Regular recruiters who participated in the placement process were TAS, BCG, Deloitte, HUL, P&G, PwC, SDC, Goldman Sachs, Airtel, DBS Bank, Amazon, Make My Trip, RB and TSMG among others. The first time recruiters included Aditya Birla Group, Accenture Tech, Alcon, AstraZeneca, Avendus Capital, Barclays, Flipkart, Google, HSBC IB, IBM, Intrigo, Metro Cash & Carry, Pidilite, Reliance Industries, Samsung India Electronics, Siemens Management Consulting, Tata Communications and Uber. Consulting and FMCG were the dominant sectors. The consolidation seen in the e-commerce sector did not impact the number of offers in this space. The sector-wise break up showed Consulting in the lead at 35 percent followed by FMCG/FMCD at 23 percent. The other key sectors were Banking & Investment Banking (14 percent) and e-commerce (12 percent). Let us take a look at the top companies from each sector. Conglomerates like Aditya Birla Group, Mahindra & Mahindra, General Electric, Reliance and Tata Administrative Services made nine offers in middle management roles pertaining to application of business understanding in relevant domains entailing close co-ordination with CXOs. Top consulting firms such as Boston Consulting Group, Siemens Management Consulting, Bristlecone, GEP, Deloitte, PwC India & SDC, KPMG, EY, IBM, Accenture Technologies, Intrigo, TSMG, Cedar Management Consulting and Capgemini made offers to 35 percent of total students. The profiles included strategic consulting, management consulting, operations consulting, financial advisory and IT consulting. A total of 12 percent of the batch was placed in e-commerce firms which included Amazon, Cloudtail, Flipkart, Uber and Paytm among others. The profiles offered by the e-commerce companies included category management, product management, online and offline marketing, business process excellence, operations and business analytics. Top recruiters from this sector were Avendus Capital, Goldman Sachs, Barclays, Axis Bank, ICICI Bank, DBS Bank, RBL Bank, Citibank, JM Financial, HSBC IB, Yes Bank and IIFL among others. Major functions offered included investment banking, corporate/retail banking, equity research and NBFC roles etc. Corporate finance/strategy roles were also offered by companies like Mondelez and Cloudtail. Microsoft, Media.net, IBM, Accenture Technologies, Flipkart, Value Labs and Capgemini offered sales and consulting roles on campus. IT majors made offers to 10 percent of the batch. Corporate IT roles were offered from companies such as General Electric, HUL, Pidilite and P&G. Sales & marketing and supply chain roles were offered by FMCG/FMCD majors including Asian Paints, Pidilite, L'Oréal, Colgate-Palmolive, GSK CH, GSK Pharma, Johnson & Johnson, HUL, P&G, Mondelez, Marico, Reckitt Benckiser, General Mills, Nestlé and Samsung India Electronics among others. Telecom roles were offered to students by Bharti Airtel, Sterlite Technologies, Vodafone and Tata Communications. 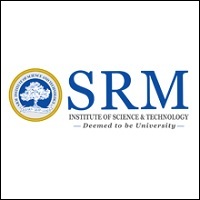 I am in B.Sc computer science.i got lateral entry in direct 2nd year (S.Y.B.Sc) because of my 3 year diploma. 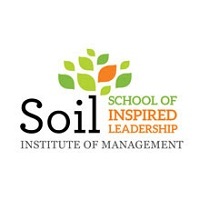 am I eligible for IIM MBA? Is Sp jain college accepts mh cet?? Your SPJIMR, Mumbai brochure has been successfully mailed to your registered email id .